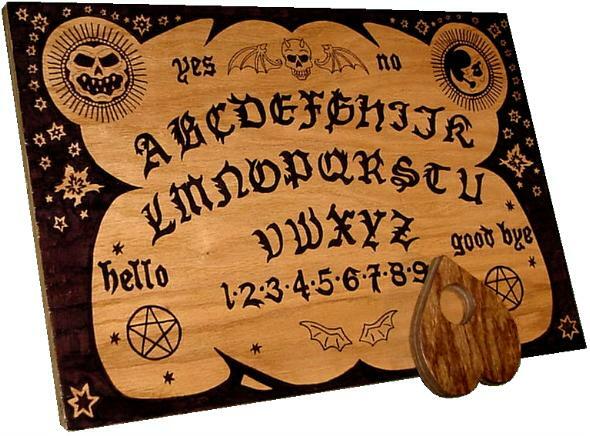 The Ouija board has not changed much in its appearance and popularity from the 19th century when it was invented until now. The only difference is that the earliest boards were mostly made of wood, while now they are available in a variety of different materials, or even as a printable version. 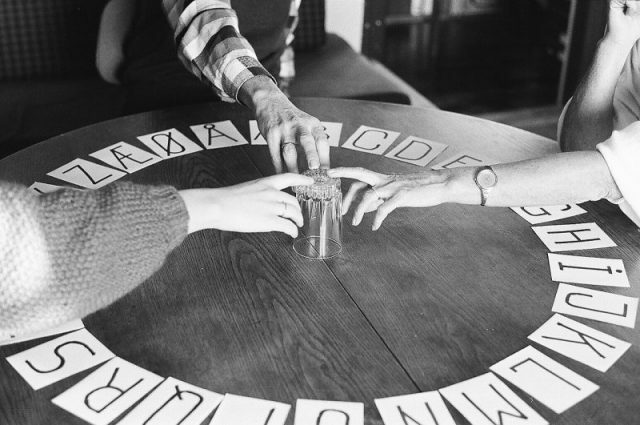 Ouija holds a controversial place in popular culture — ridiculed by many but revered by a diverse range spiritual groups — just as it has for the last two centuries. However, its history is not completely known and is shrouded in mystery. The earliest known advertisement featuring a Ouija board appeared in a New York newspaper, in February 1891. Original Ouija board created in 1894. The advert declared it was proven by the Patent Office before being released to market, which holds to be true. 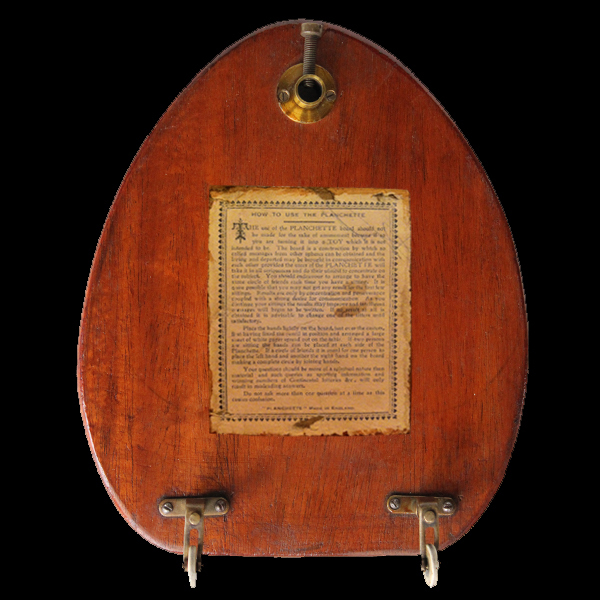 The Ouija board’s creation arose from the Victorian era fascination with spiritualism. It was not unusual for 19th century Americans to try and communicate with the deceased — death and the spirit world were embraced much more closely part of normal everyday life, an attitude that was approved of by the Church. In 1848 spiritualism blossomed with help of the popular Fox sisters from upstate New York who claimed to be in touch with the supernatural realm. The Civil War helped drive people towards seeking out spiritualists to help them keep in touch with their lost loved ones. Even Marry Todd Lincoln tried to make contact with her deceased son. A modern Ouija board plus planchette. One of the methods to speak with the dead was reciting the alphabet and waiting for a knock when the letter was right. A conversation held in this way would be very long and intricate. 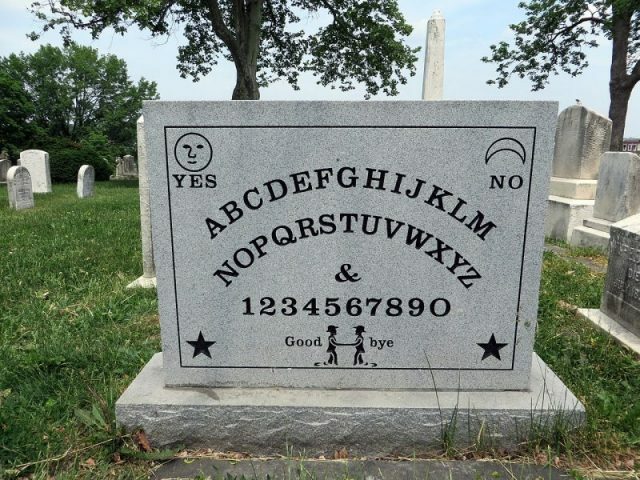 The Kennard Novelty Company recognized a market for simplifying the means of communication and came up with their Ouija board. 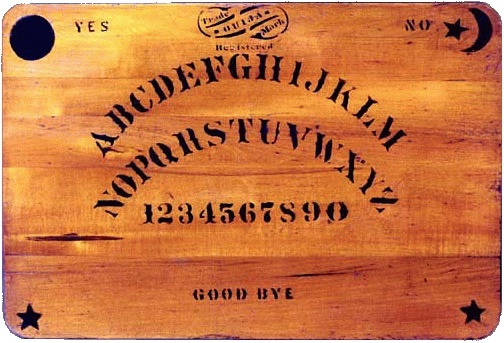 It is believed that the name “Ouija” is a blend of French and German words for yes, however, as Murch’s research shows, the creation of the name was much more mysterious. After designing the Ouija, the inventors went on to patent the product. The first clerk at the Patent Office did not take it seriously at first…. until the board spelled out his name in a demonstration. Accompanying the invention of the Ouija board were many strange tales shared in American newspapers, some of them involving crime. There were cases where people claimed spirits had driven them to commit crimes after using the Ouija board to communicate their wish. In 1930, for example, the New York Times published an article that read like a horror movie plot: the defence of two women from Buffalo, New York on trial for the murder of a third woman was that the board demanded it from them. 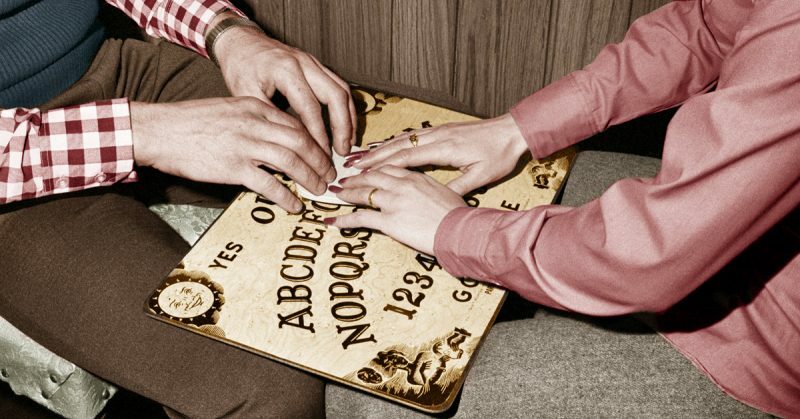 Ouija boards are still popular today, and some psychologists believe it really does connect the known and the unknown, but through exposing the unconscious thoughts of the participants rather than receiving information from the other side.